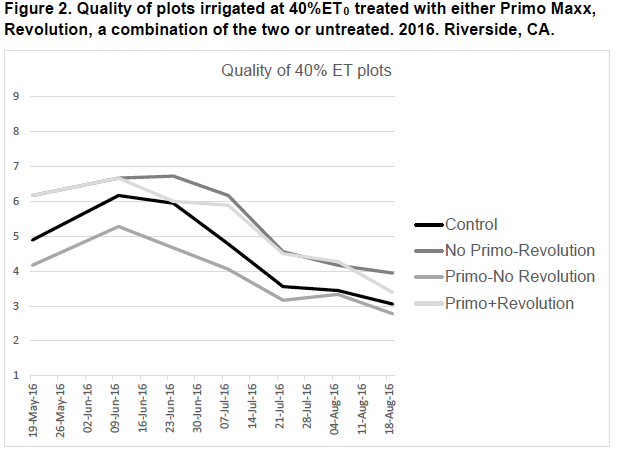 Plots treated with Revolution (on the right) and plots without Revolution (on the left) at 40% ETThese preliminary findings confirm what researchers have seen with Revolution time and again: an ability to provide increased turf quality at reduced levels of irrigation. 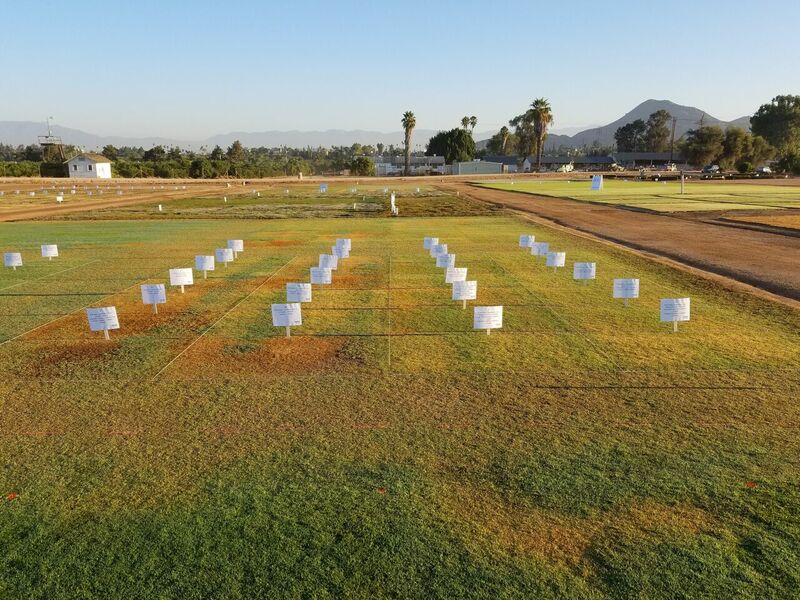 However, this study suggests that when paired with one of the most popular growth regulators on the market, Revolution can drastically reduce the amount of water needed to grow healthy turf. 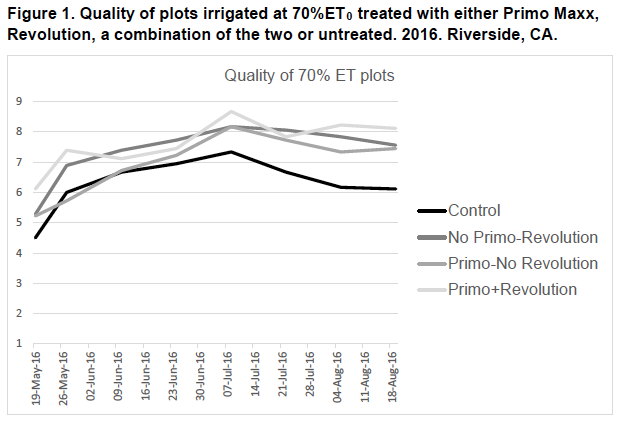 It also suggest that the Primo Maxx + Revolution combination can be a significant tool for turf managers tasked with reducing water usage due to budgetary concerns and/or drought conditions. † Primo MAXX® is a trademark of a Syngenta Group Company.